As we all wind down from the busy gift-giving Christmas season, it can be difficult to now think about shopping for the perfect Valentine’s Day gifts. To help out, this month’s post is focused on creative Valentine’s Day gifts for her. Hopefully, there are some unique ideas below to kick-start your creative juices (or you can share this post with your special someone in case they are stuck for ideas!). Everyone loves to feel special on V-Day and we hope this post helps to choose a gift she will love on February 14 this year. The gift may well depend on a few key points – such as how long you have been together, or your budget. The key is not to over-think things, and to try to think outside of the box a little (no chocolates or flowers this year!). 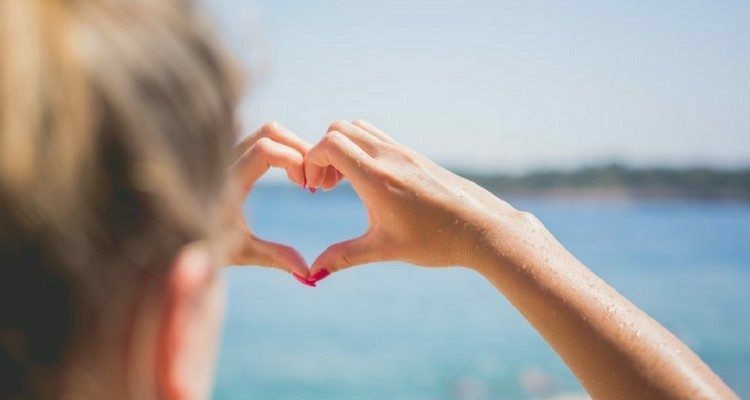 So whether you are with a long-term sweet-heart or want to woo that someone new, we have you covered with our tips for creative Valentine’s Day gifts for her. Personalised jewellery is so popular right now, and nothing shows more thought and caring than creating a unique custom engraved piece of jewellery for her. 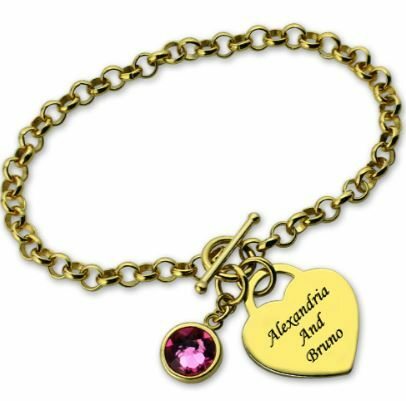 Engrave this Heart Name Bracelet with her name, or both your names. You can add a birthstone to represent her birthday, or perhaps the month you both met. Chances are if you have been with your partner for a few years now, you will have an idea about her fashion style. 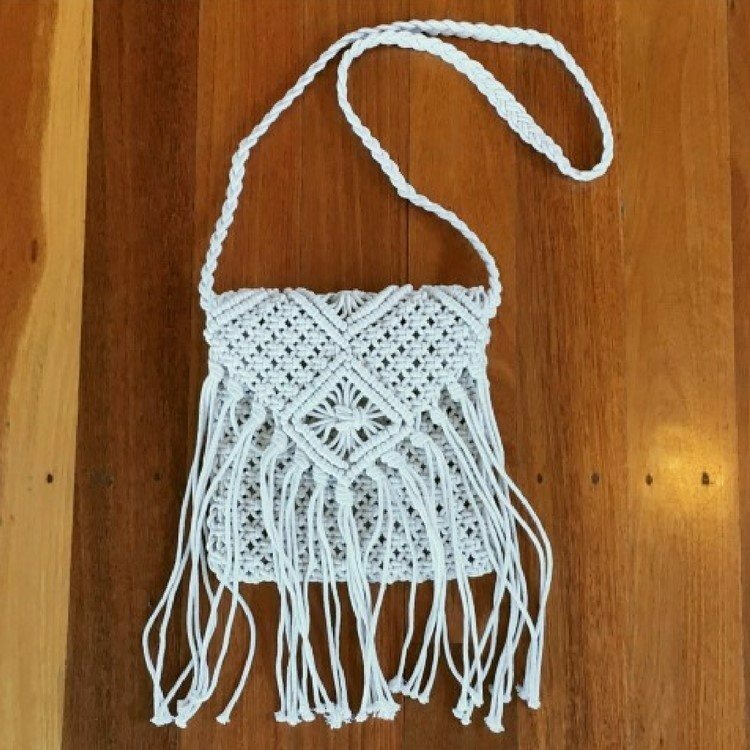 Every girl needs a good mix of bags – and this super cute boho fringe bag is perfect for days at the beach, festivals, and for an everyday casual look. Shop for this bag and other great fashion and accessories at Modella Clothing and receive 10% discount at the checkout with promo code MODELLA10. You will also receive a surprise free gift with any purchase! Create a personalised phone case that she is sure to see every single day. Put on your creative hat and design a case that she will love, customised to her own unique individual style. Looking for some extra bling to spoil her with this year? Then solid white or yellow gold jewellery is just the thing. 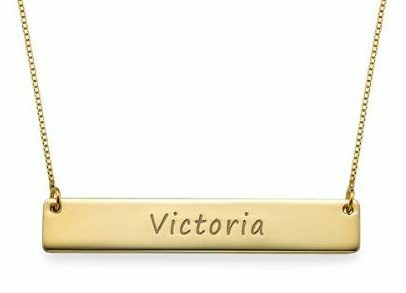 This solid gold engraved bar necklace is made from 10ct gold, and can be engraved with her name or a special phrase. So if you want to splash out this year, check out this gorgeous gift idea. Looking for a gift that gives back – why not give her a donation e-card or e-voucher for a charitable donation. Choose from thousands of causes and charities, and customise your card before giving this Valentine’s Day. Want to show her your eternal love? Engrave each of your names on this Personalised Infinity Name Necklace with Birthstones. Want to see more options? View more of the Infinity jewellery collection that she will sure to love. 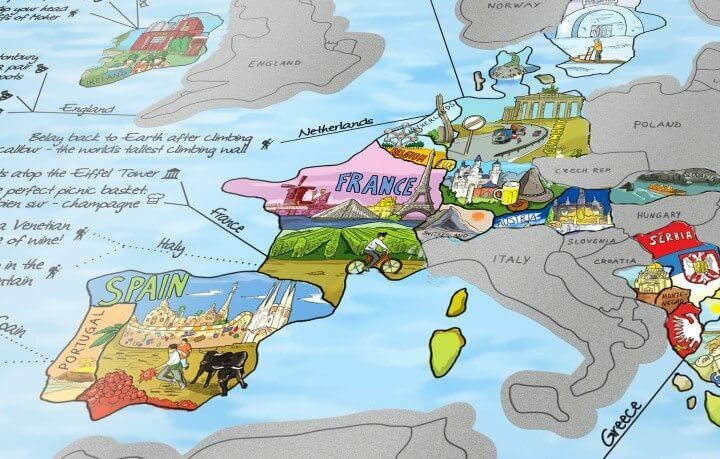 A unique gift for any traveller – this scratch off travel map makes a perfect Valentine’s Day gift for any couple that travels, or are planning a trip together. Share the world as a couple, and celebrate all the places you have been or want to go. There are a range of scratch maps available, including a glow in the dark world scratch off map, or a circular scratch globe. 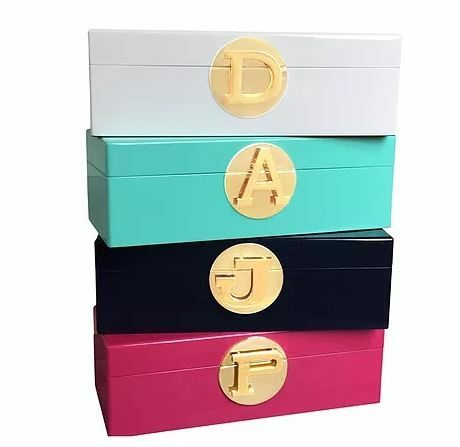 Create a unique jewellery box for her with any initial. These jewellery boxes are lined with beautiful velvet, and the stunning gold initial clasp makes them a unique gift for her. Looking for a way to celebrate the special place you first met, where you had your first date, or the place you got married? Why not inscribe the coordinates of that special place on a bracelet that she can wear and treasure forever. Gifting her with those coordinates shows just how special and memorable that occasion was for you, and will let you both remember that special time. Want to learn more? 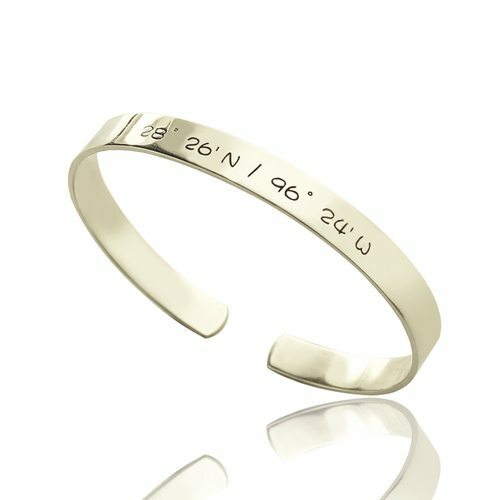 Find out more about this inscribed latitude and longitude coordinate cuff bracelet and how to find the coordinates to your special place. Use the promo code MODELLA10 at the Name Jewellery website for 10% discount on any purchase. 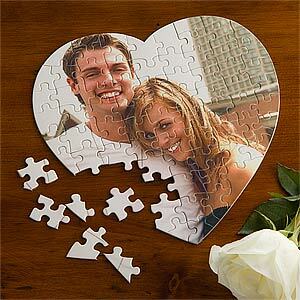 Build your own puzzle using a special photo, which she can piece together. This heart shaped puzzle makes a perfect Valentine’s Day gift – simply upload any photo, add some text if desired, and your customised gift is ready to go! At the end of the day, Valentine’s Day should be about having fun. Hope our post helps with ideas for the perfect creative Valentine’s Day gift for your special her. But if you need more inspiration, here are more interesting Valentine’s Day gift options to check out!